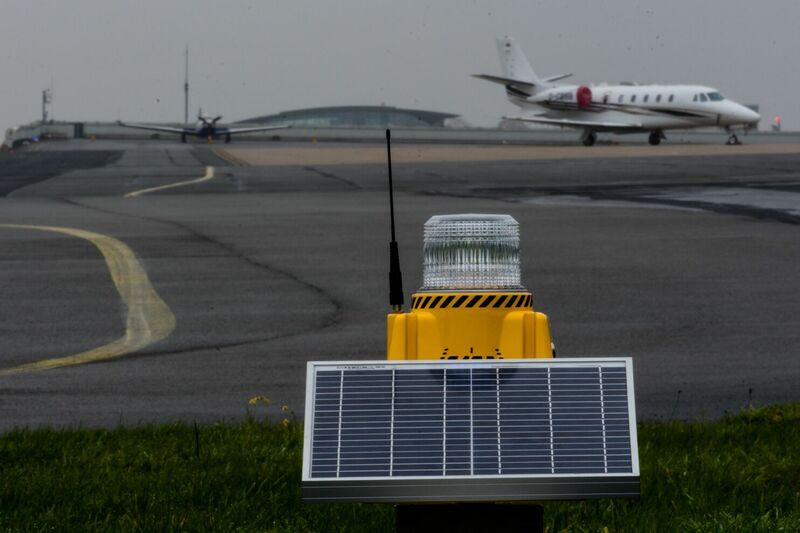 S4GA solar powered obstruction light is reliable ICAO compliant aviation light which is used on towers, buildings, unserviceable areas, antennas and other obstacles. 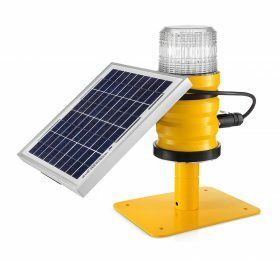 Solar warning lights can be also deployed on wind turbines, road marking, as barricade lighting and caution lighting. In aviation obstruction light, we use high-quality LED optics protected by glass dome. The light is powered by in-built deep-cycle battery available in every country. 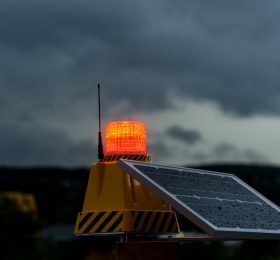 Battery is powered by separately installed solar panel which generates 4x more electrical energy comparing to traditional solar lights with in-built solar panels made by other solar obstruction lights manufacturers. 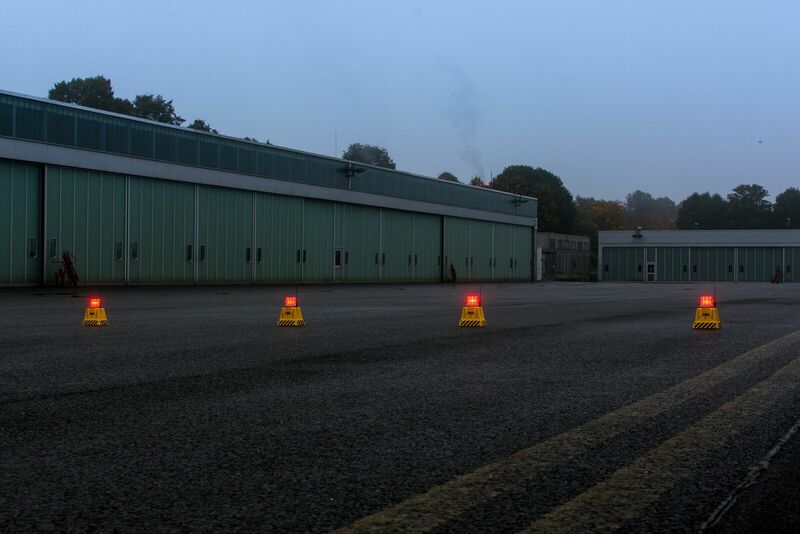 Our LED obstruction lights are self-contained obstacle light which meets international aircraft warning light specifications. What is obstruction lighting? Simply, obstruction lighting makes high buildings visible from a far distance. That’s why it plays a key role in aviation safety. The light intensity is not the only important element but also the color and type of the light (constant, flashing). Because of the fact that such lights are installed outside and very high, they need to meet numerous requirements. What do particular lights mean? What are the regulations regarding these lights? You can find out all about it in this article. 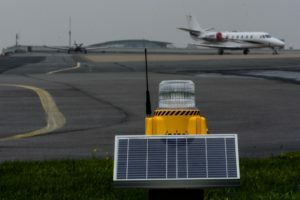 Using obstruction lighting needs to follow the regulations of ICAO (International Civil Aviation Organization). Particular countries can be restricted with different regulations. For instance, in the USA, the regulations of FAA (Federal Aviation Administrations) are also effective. Aviation obstructions are ground objects, natural or artificial, which can cause a threat to air traffic because of their height, size or little contrast with the background. Such constructions or buildings can be located near an airport but not necessarily. To mark aviation obstructions, three levels of light intensity are used: low, medium and high. Low-intensity lights mark objects that are not higher than 45 meters. Higher buildings, constructions or natural objects need to be marked with medium-intensity lights. When it comes to high-intensity lights, they are used to mark objects that cannot be marked with painted signs. Type-D lighting – a flashing, yellow light with the brightest light output in this group – 200 cd. Let’s have a look now at what lights are used for particular types of aviation obstructions. If an obstruction is not higher than 45 meters it is marked with low-intensity lights, Type-A or B. Type-A lighting is used when Type-B lighting could blind a pilot. Both the types are used to mark objects located within an airport. 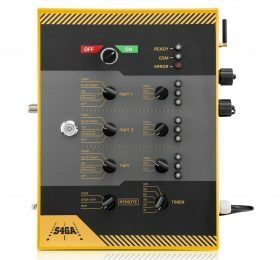 They are to be found on control towers, radars, masts, antennas, chimney, radio and television towers, high buildings, bridges, transmission lines, wind turbines, and metrological masts. Objects that have a large surface area or are taller than 45 meters are marked with medium-intensity obstruction lights of three types: A, B and C. The intensity of the light reaches from 2000 cd (candelas) to 20 000 cd. High-intensity obstruction lighting is used to mark objects that are taller than 150 meters. It provides the best visibility, both during the day and at night. An exemplary high-intensity light flashes 40 times per minute and provides the intensity of 2000 cd at night, 20 000 cd at dusk, and up to 270 000 cd during the day. For the sake of air traffic safety, the means of monitoring and maintaining obstruction lights need to be regulated. Such lighting should be replaced when it reaches 75% of its lifetime or immediately after a malfunction; also if it cracks or gets too dirty. 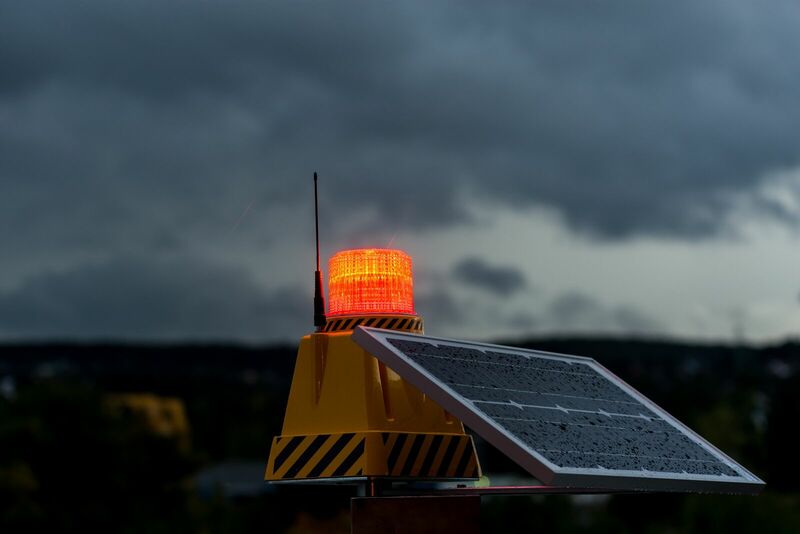 If obstruction lighting does not come with an automatic monitoring, it should be inspected every 24 hours. Obstruction lighting is installed in difficult condition places. Therefore, it needs to meet a wide spectrum of requirements that ensure a long and reliable performance. What are the qualities that obstruction lighting should have? Properly low weight and small size. Moreover, it is important that the light beam should be constant, regardless of outside conditions or work time. 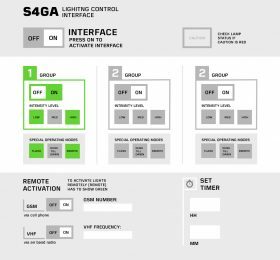 Many of these requirements are met by the lighting based on the LED technology. That’s why such lights are used to illuminate aviation obstructions most often. Now You know the meaning. Need price? Contact with us!